Plus.PeopleApi has been deprecated in Google Play services 9.4. In the past, the https://www.googleapis.com/auth/plus.login scope allowed access to a list of people in the user's circles in addition to their name and profile information. Starting in September 2016, the plus.login scope will allow access to only the name and profile info for new users; calls to Plus.PeopleApi.load, Plus.PeopleApi.loadVisible, and Plus.PeopleApi.loadConnected return empty results for those new sign-ins. In 2017 Q1, you will get empty results back for all users. Instead of requesting the plus.login scope, we strongly recommend you instead request the profile scope, which can give your app a streamlined, one-tap sign-in experience. In place of the social connection data from Plus.PeopleApi, you can get rich cloud- and device-based contacts data from the Contacts Provider, or use the new Google People API. To enhance the distribution of your app through the social graphs of your app's user base, use Firebase Invites. 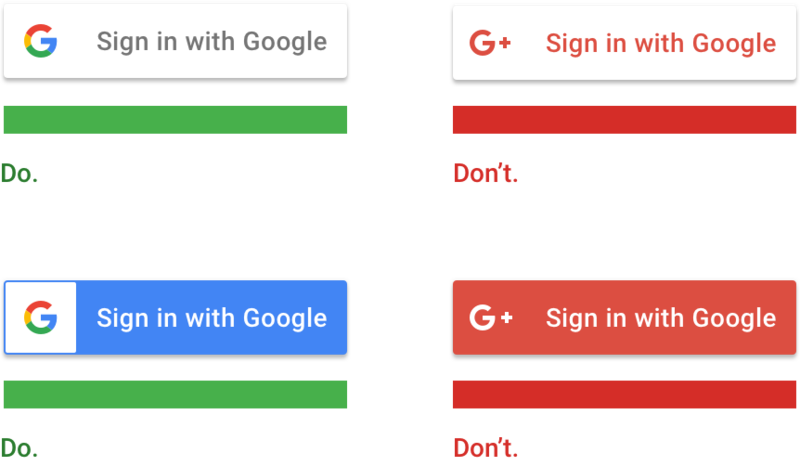 Read our earlier blog post for details: Improving the Security and User Experience of your Google Sign In Implementation. Also, check out the migration guide for GoogleAuthUtil and Plus API users. With the deprecation of the Google+ People API, we also changed our branding guidelines. All sign-in buttons should be branded as "Sign in with Google" with either blue or white backgrounds, as long as the Google G logo has a white background.